The £67m (contract value) NHS centre for ear, nose, throat and dental services, on Huntley Street near Euston, will bring together services, plus other services, that are currently provided at the Royal National Throat Nose and Ear Hospital and Eastman Dental Hospital, both on Gray’s Inn Road. The purpose-built five-storey block will form part of a hub of University College Hospital sites and is due to open in 2019. A unitised concrete, glass and brick facade forms part of an extensive offsite solution for the build, developed by facade architect Pilbrow & Partners and Mace, to reduce health and safety risks, improve the build quality and slash months off the construction programme. Mace has extensive experience delivering BIM projects and worked closely with the client, UCLH NHS Foundation Trust, which took the government’s mandate very seriously, developing a detailed brief covering requirements for design, delivery and the ongoing operation of the building. A set of detailed Employer’s Information Requirements (EIRs) specified that the design, developed by the consultant team, had to be delivered to BIM Level 2 by RIBA stage 4 and that the same level of information modelling should be taken forward by the main contractor. 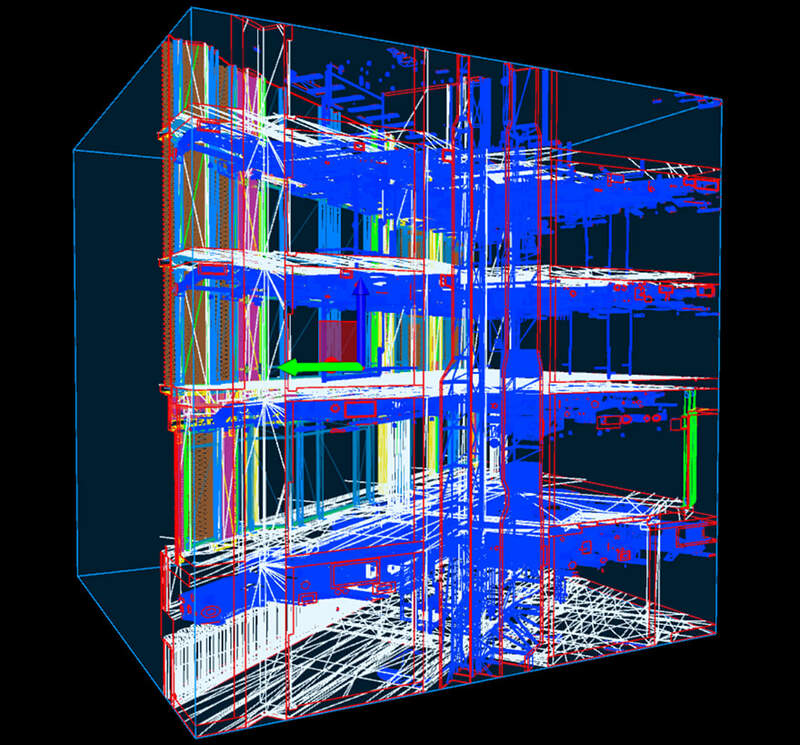 UCLH employed a dedicated BIM specialist to lead development of the EIRs. Steffian Bradley Architects was initially commissioned to act as healthcare architect for the centre and in parallel acted as BIM manager, carrying out model federation and clash detection roles. (SBA left the project in July 2016). During construction, Mace is responsible for BIM model federation and clash detection and its in-house BIM manager works with the project team, consultants and subcontractors to resolve any issues in design workshops. The federated model of the facade combines BIM models from Mace, new healthcare architect BMJ, precast specialist Techcrete and brickwork contractor Swift. 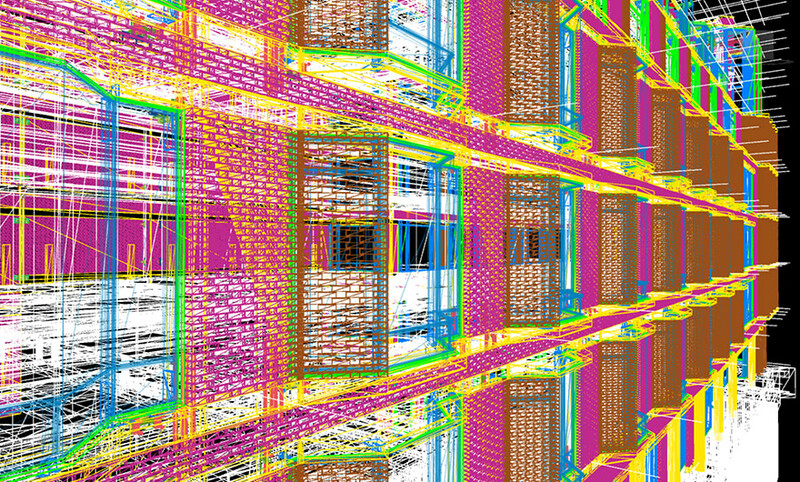 The fourth dimension, time, was added to create animations of the facade build sequence and onsite logistics. “This helps us develop details that would fit with the build sequence, as soon as you throw time into the mix you can see how different subcontractors interrelate so they understand and appreciate how their actions can impact on others. It has been a really useful tool on multiple fronts,” says Scammell. 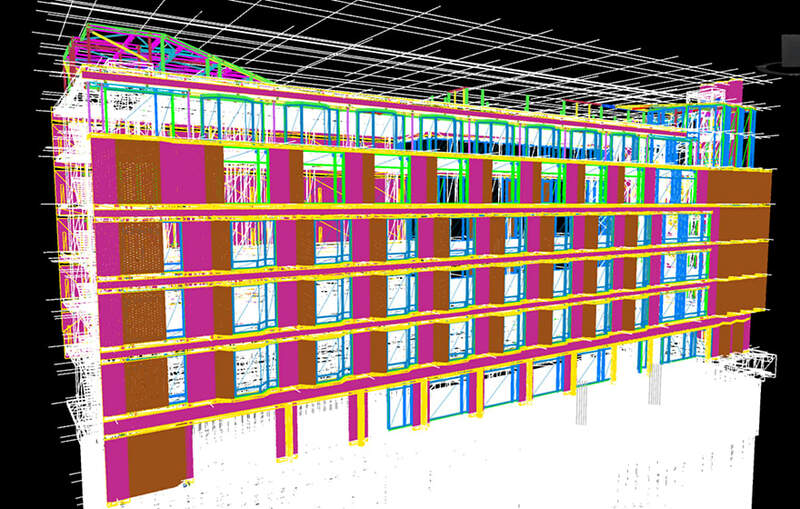 Construction is only a short phase of the lifecycle of a building and the UCLH estates team will use the BIM model post-handover to run schedules for maintenance, based on COBie data parameters contained within. The final model and associated information will be compatible with facilities management software, enabling the client to monitor the performance of the building, such as energy usage, and plan efficient maintenance. Mace appointed Edocuments to author the O&M manuals that will integrate 2D and 3D information to form an interactive O&M manual able to direct the user straight to COBie data by simply clicking on an object in the model. You modelled every single brick??.............why?? I thought BIM was supposed to remove waste not add needless tasks such as this.